Team work and an eagerness to learn have been catalysts for Christina from a very young age. Joining a design firm at its formation, Christina applied her natural organization talents to create systems that carried the company through 11 years of fast-paced growth. She architected and managed information systems that coordinated and tracked work flow for managers, co-workers, and field workers. Her energetic personality and enthusiasm for life make her a great team builder. She loves to work together toward common goals and feels empowered knowing that her contributions and efforts support the bigger picture and a successful work environment for all. 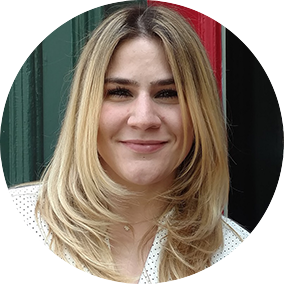 Christina is a lifelong resident of the Philadelphia area and holds an Associates in Business Administration and Management. She thrives on physical activity and participates in 3K races for The Pancreatic Cancer Network. Being a mother, she also volunteers for many home and school events for her parish. Along with a vast knowledge of organization and efficiency-building methods, Christina’s upbeat energy and creative thinking are a boon to the FourFront family and our clients.